How to start a business in Minnesota? 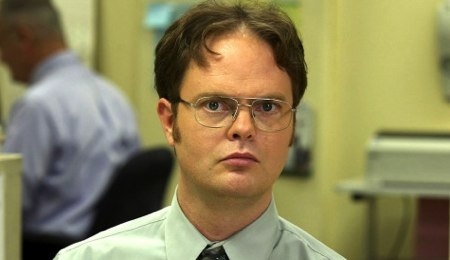 Take some inspiration from Rainn Wilson or “Dwight Schrute” from the office. It’s pretty cool to see someone come out of Hollywood and take action on an entrepreneurial endeavor; most people do nothing and never google something like “How to start a business in Minnesota”. While much of Hollywood ends up using social media and the internet to simply lift themselves up higher, it seems like Rainn Wilson has been doing something much more altruistic which is another way to answer “how to start a business in Minnesota” (can you tell I’m trying to get some Search engine optimization around “how to start a business in Minnesota”?). Do you have a dream or an idea that might be worthy of pursuing if you didn’t have to risk everything? THEN DO IT! – as Shia Lebouf would say… actually don’t do it, rather take these steps to find out how to start a business in Minnesota wisely. Look at the bottom of the page to see Rainn Wilson’s interview about His entrepreneurship. Take the mindset of humility – this is about drawing wisdom out of them rather than boasting, being a “I already knew that already” kind of idiot, or expelling any ideas that are hard to hear. Go in there with the assumption that you are probably WRONG – but don’t give up on your idea, this is about posture. Take notes – ask great questions and even some stupid ones as well. Don’t be afraid of not looking successful, or sounding stupid- you should be vulnerable here. End on time, render what you’ve learned, send a thank you. These people’s time better be valuable, otherwise you are meeting with the wrong folks (this isn’t about finding rich people, but purposeful ones). Make sure to ask these two questions: “What kind of needs are you seeing in the industries around yours?” & “What kind of advice do you have for me – to move upward and forward either in business or personally? Will you help me improve a bit?”. Let these wise people hand you some good advice – not just tell you what you want to hear. What are you passionate about and is a more natural thing for you to proselytize about? Who might you be able to collaborate with? Who do you know that would compliment your efforts well? Who is buying? How might you access the market? How might you operations work? What is your mission – what is it that you will do best? What is your purpose? Why do you do what you do? What is a transcendent purpose or meaning for your work? What are your values? Pick 3-5 virtues or commitments you will make about how you will act. Values are all about what type of people will you be and the outcomes you want in the lives of you and your employees (eventually). What is your niche and core focus? You want to find a very specific thing that you will do better than any other business. What is your strategic approach? Strategies are HOW you do what you do. What can you become highly proficient at? Identify basic logistics – How will the basic logistics of your business flow? Try to sketch it out and pretend to explain it to someone else, this helps you think it out. Start one deal at a time, while your working full time – start getting some wins here and doing what you dream about. The idea is to get this business humming along enough for you to eventually take a jump. But before you even dream of answering the “how to start a business in MInnesota” and jumping, you better have done the Dave Ramsey 7 Baby Steps. claim your twitter handle, your facebook fan page, your google + page, and the rest. Purchase a domain and make a very basic – and I mean VERY BASIC, wordpress website to show the world your information. Get an email address through either GMAIL or OFFICE 365. Do the work of getting on Yelp, Bing, Yahoo, White Pages… yadda yadda yadda – this one is annoying. Start writing a basic blog about your industry – create helpful content. Connect with a Professional Accountant – Not only will a CPA or other Accountant be a valuable coffee date to get perspective, but it’s a VERY important thing to ensure you pay all your taxes. Not only is it important that your taxes are paid, but if you don’t do your accounting properly in a program like QuickBooks online, you will miss out on opportunities to write things off, plan for salary or taxes, and mitigate your overall tax burden through pro-active tax planning. This is why we got into the accounting business because few people are uniquely equipped to start a business in Minnesota and do high quality financial operations. Make it RAIN!! Now that you know “How to start a business in Minnesota” it’s time to build up your business over time – focusing on being great at what you do, exceeding expectations, adding tons of value, building relationships, and solving problems for people!